Welcome to my landscape photography site where you’ll find 100s of high resolution images of the English Lake District, Cornwall and the Isle of Skye. One of my specialities is wide panoramic photographs made using multiple images ‘stitched’ together to create large, high resolution canvases in widths up to 84″ (214cm) for single panels and even larger for multi-panel canvases. Classic framed prints with mounts are available in widths up to 43″ (110cm). Photo prints in stylish floater frames are available in widths up to 70″ (178cm). Loose prints, which you can frame yourself, are available in sizes up to 72″ (183cm) wide. 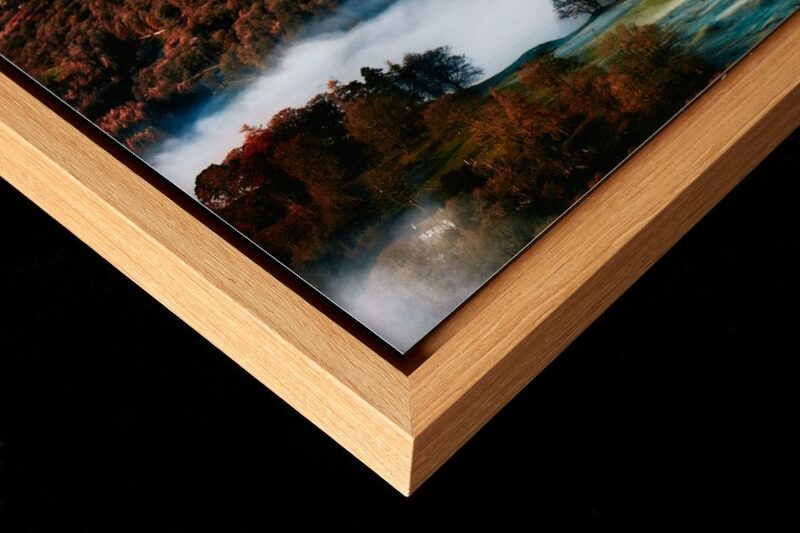 New – Photo Prints bonded to aluminium backing with optional stylish Floater Frames. Available in larger sizes than standard framed prints. Aluminium Dibond section is being replaced by the Modern Prints section. This has more options including frames and multi-panels. 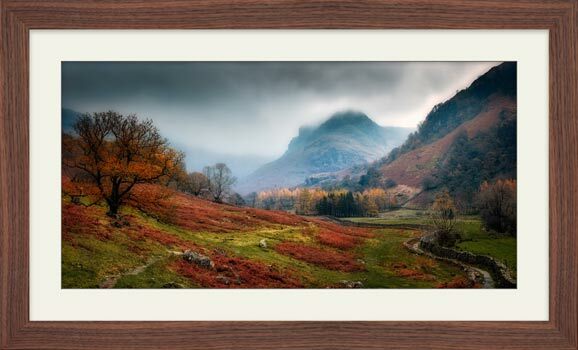 My large Lake District panoramic canvas prints are ultra high resolution created from multiple photographs seamlessly combined, allowing very large prints with no loss of quality. These are available in sizes up to 4ft wide as high quality framed prints, 6ft wide as loose prints for self framing or 13ft wide multi panel canvas. Printed using the highest quality Large format printer, using archival inks and canvas. With lightfastness of up to 100 years. 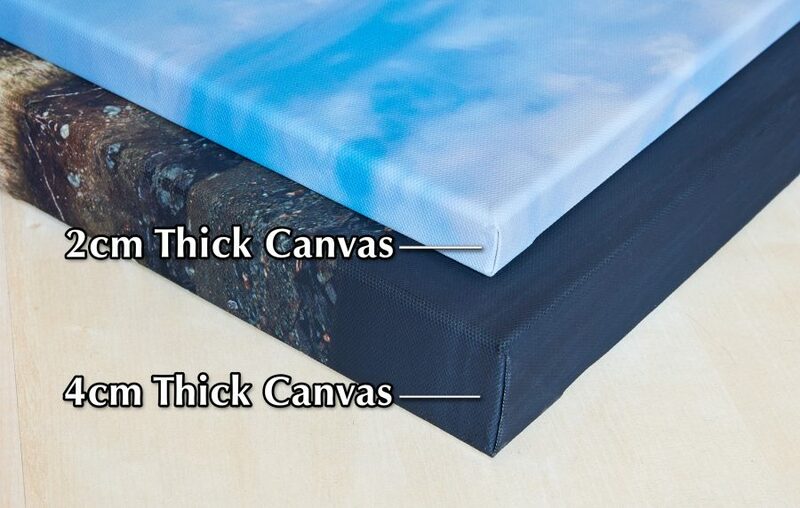 Canvases are wrapped around 2cm thick bars for widths up to 32″ or 4cm thick gallery bars for widths over 32″ (81cm). Delivered ‘made-up’, no assembly required. Sizes are available up to 84″ – 214cm wide and even larger for multi-panels. Un-framed “loose” prints are available in very large sizes – up to 72″ (183cm) wide. The print is on a thick, pearl fine art paper made by Hahnemühle. 100% cellulose, archival, bright white and acid free. This paper is often used for exhibitions and limited-edition art prints. It is pure white with an elegant semi gloss finish with no reflections. These are delivered in a sturdy cardboard tube. Framed prints are available in 4 solid wood frames – Black Oak, Natural Oak, Walnut and White Maple. With 3 colours of thick card mount. Framed behind glass glazing with reflection reduction option. 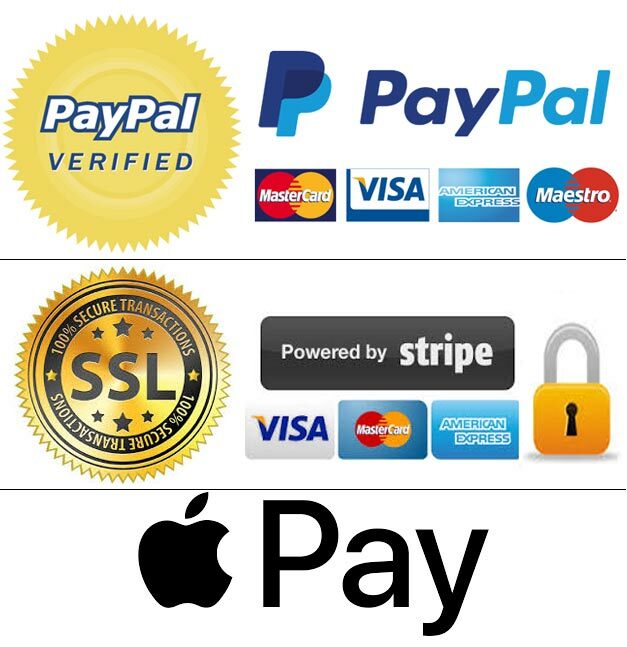 Sizes up to 42″ – 107cm wide. Floater frames (Modern Prints section) are available in 4 solid wood frames – Black Oak, Natural Oak, Walnut and White Maple. These are stylish narrow frames with a shadow gap between the wood and the image that creates a floating appearance. Sizes up to 70″ – 178cm wide. 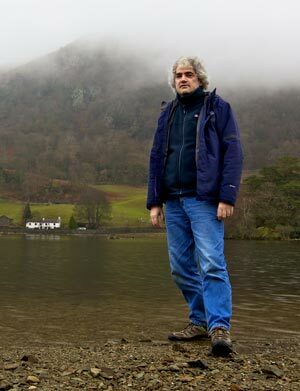 Landscape photography of the Lake District, Cornwall and the Isle of Skye. Beautiful framed prints, aluminium prints or large canvas prints and gorgeous multi-panel canvases up to 13ft wide.